On Saturday I visited the Heineken Experience in Amsterdam, and wanted to follow that up yesterday with a visit to the Guinness Storehouse in Dublin. The two tours and experiences are quite similar, and I enjoyed both. 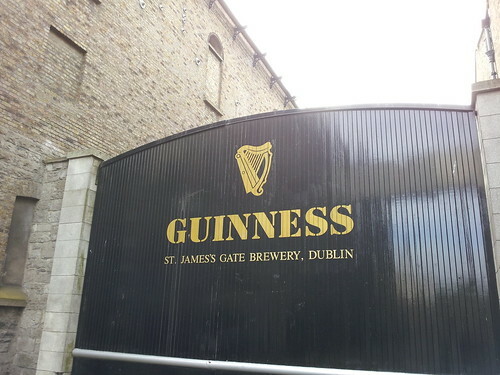 This building was built in 1902, but the Guiness we all know and love has been around since 1778. The Guiness Storehouse is bigger than the Heineken Experience, with 7 floors of information that delves quite a bit deeper. Like the Heineken Experience, there's a tasting of Guinness part-way through the tour and a full pint waiting for you at the end. I noticed nobody seemed to care if you stuck around for multiple tastings, so I got more than my share there, but scoring an extra pint at the top of the building was next to impossible. About that final pint at the top... it features a panoramic view of Dublin that's just gorgeous. Being there was worth the price of admission alone, and it's where I took the photo below. 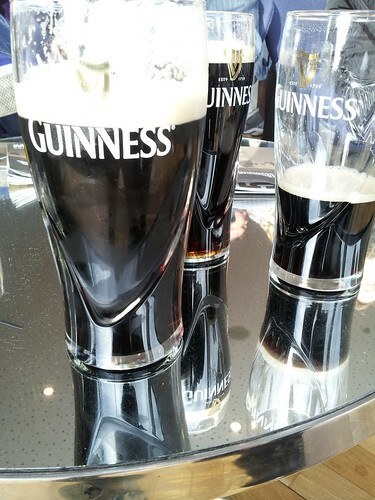 In the battle between the Heineken Experience and Guinness Storehouse, Guinness wins by a nose. 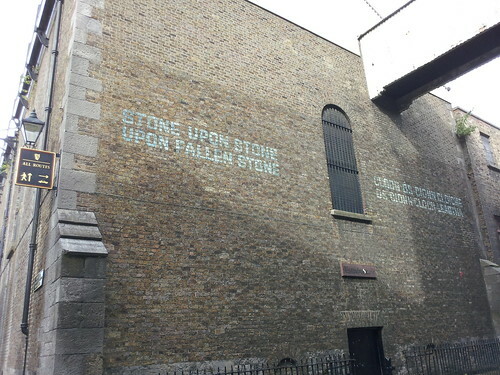 Both are great fun with great beer, but the Guinness location was more grandiose with deeper information and the panoramic view of the city at the end sealed the deal. Isn't the Guiness a beautiful thing there?? I never liked it until I tried it in Ireland. Doesn't make it justice here in Canada.. tastes totally different. Damn I want a pint now..welcome back! Previously you have said you don't drink beer. A change? Just like me when I turned 36 yrs. old & having twins, especially when they turned 3-4 years old with attitudes. @Matman, my dad said the same thing afew years ago when he returned from a trip to the old country. He said it was creamier, and now understood why half our family had a problem with the drink LOL. In Canada, I have about 5 glasses of beer a year. I'm pretty close to a non-drinker, but I do enjoy a pint or two over here, that's for sure! 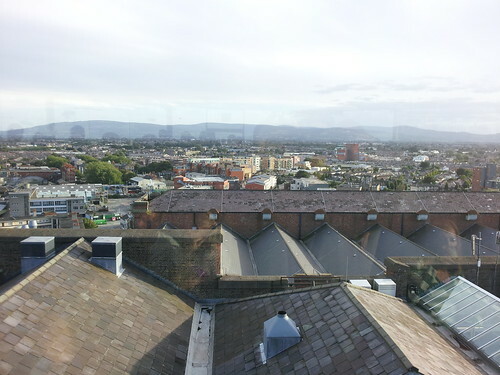 Love the panoramic view of dublin.Wish to visit that place in the future. @ Mike and Rick, my brother in law is from Limmerick who introduced me to Guiness there. I agree its creamier and tastes sweeter, not so bitter as it is here. But then again, I found most of the draft I had there is beautiful, to this day I have never had a better pint of Heineken. It must be rather the water, or the draft lines, I dunno. My brother in law also gave me a tip on finding the best Guiness in Ireland, go to an "old mans" type of pub. If theres alot of geezers there, chances are its good Guiness! Also, the dirtier the glass after having one, the better. In Toronto here, the glass is always almost clean after consumption. Thats a good tip too. Slainte!